M. E. Stained Glass has been creating, restoring, repairing and protecting historic, domestic and commercial stained glass windows for over a quarter of a century. They work within English Heritage, Architect or Church Diocese specifications and guidelines. Designing, manufacturing, restoring traditional & contemporary stained glass and leaded-light windows. Designer, maker and restorer of traditional and contemporary stained glass, leaded lights, and fused glass. 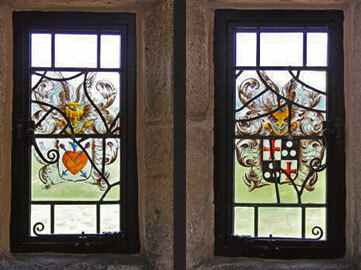 I also repair and resize stained glass that can then be encapsulated into a double glazed unit. 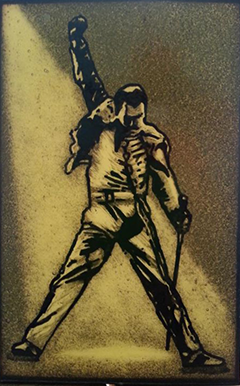 I also run a variety of workshops teaching all of the techniques used in my work. We can restore and/or rebuild existing windows, panels, doors etc... recreating the original design. Glass is sourced with great care to match existing damaged windows. We also replace damaged windows, or build new panels with brand new designs, when required. Mostly window panels, but look out for thE room devider. You must go and look at it full size! STUNNING! 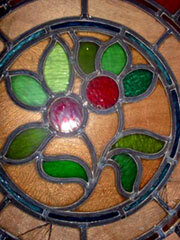 Stained glass studio specialising in the new design, repair and restoration of traditional stained glass windows. M. E. Stained Glass has been creating, restoring, repairing and protecting historic, domestic and commercial stained glass windows for over a quarter of a century. This site illustrates commissions for public buildings and the church. Where you will find handcrafted stained glass gifts. 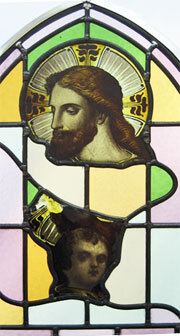 Specialising in the restoration, reproduction and new commissions in stained glass and leaded lights.